So, naturally, I drew a stegosaurus. Anyways, next I coloured in this pic I drew in my sketch book and was very pleased with myself, concluding that maybe I could draw after all. Awww, I like them. They are actually pretty good! Congratulations on getting a tablet! You're doing pretty well already, just don't use it so much that you get cramps in your hands (time flies when you're using it OTL). 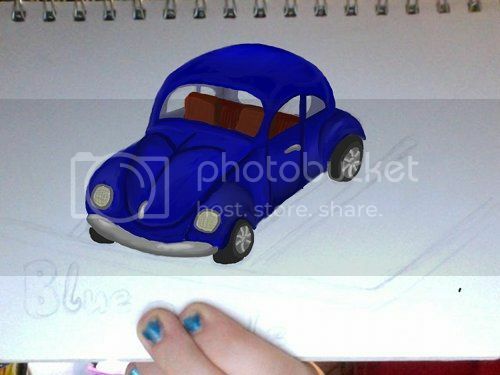 Also, the shading is pretty good! How do you do that on a tablet. I'm beginning to want one more and more. 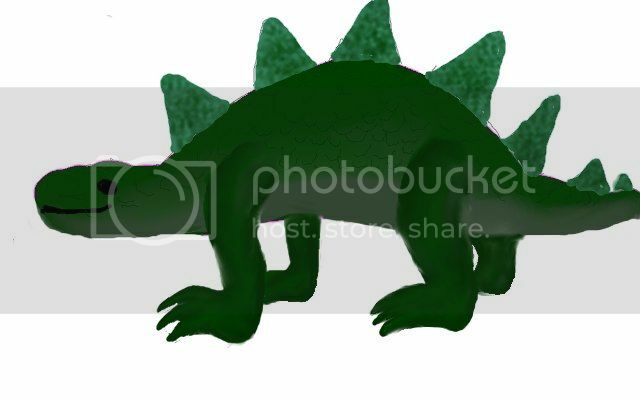 Stegosaurus is my favourite! He/she looks so happy (but then again so does the speed buggy--in fact I think speed buggy is even happier) :D And now I also really want to re-watch Walking with Dinosaurs. What kind of tablet did you get, Sian? Do it! Walking with Dinosaurs is the greatest! Speed buggy is just the happiest thing ever. 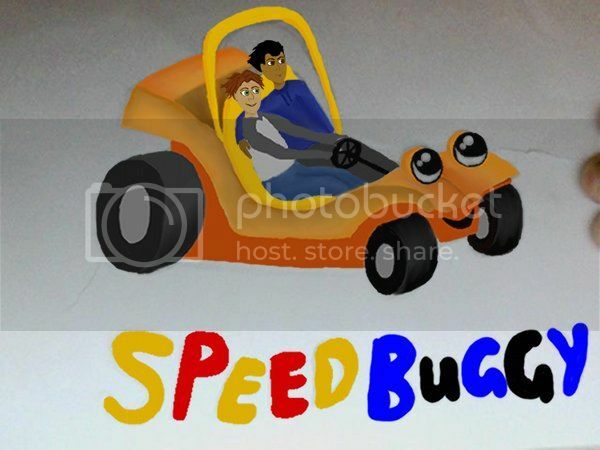 I have never seen a picture of speedbuggy anywhere that was not happy. Edit: I forgot the words "expressions picture" and thought about putting them back in, but this is funnier. Ohh yes, if by software you mean the drivers and such, then yeah. I imagine gimp will run a lot smoother if you do. You'll get crazy stuff like pen pressure and whatnot! [act]flails[/act] Tablets are fun, though I have to admit all the differences between them confuse me too. To be fair, it's probably also getting used to gimp 2.8 again, which I uninstalled because I didn't like it. Also because it kept crashing.